We are currently involved in an upscale demonstration project, where a larger Triblade rotor will be installed and demonstrated on a turbine for a longer period. The project reference group is made up by blade experts from some of the largest turbine manufacturers and utility companies. 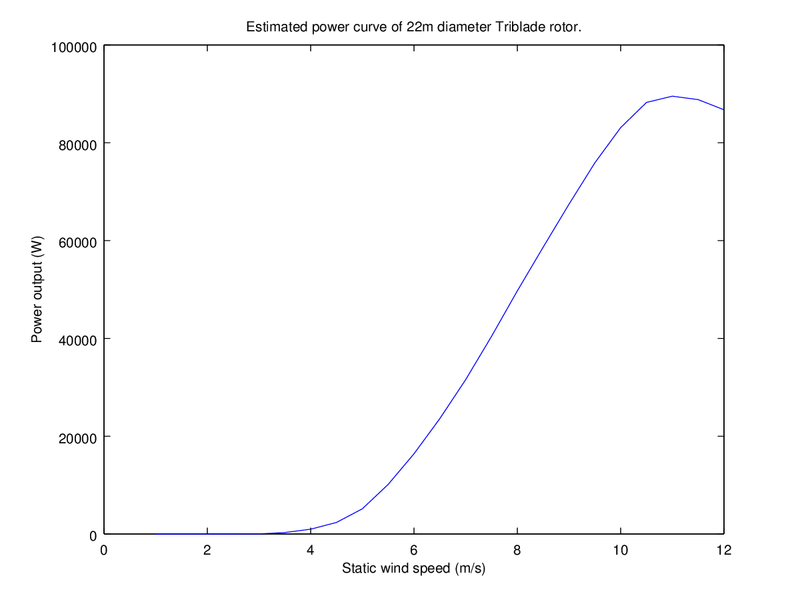 The Triblade rotor is under development and will be installed on a stall regulated turbine with fixed speed and fixed pitch. The estimated power curve can be seen below. More information about the project and its progress will be uploaded soon, so stay tuned for more news to come. The project is co-funded by EU through their SME Instrument phase 2 program. The project consortium consists of the partners Marstrom Composite from Västervik, Sweden and Winfoor from Lund, Sweden.